Original XVIII century house converted into a luxury hotel, wonderfully decorated with antiques. The interiors are carefully designed with white-washed walls and hand-made decorated tiles. The beautiful terraces overlook the charming bay of Positano. This luxury resort has all the comforts: a beautiful swimming pool surrounded by lemon trees, a champagne and oyster bar, a spa for health and beauty services and a well-equipped gym. 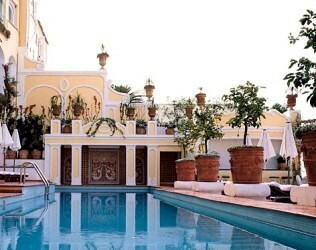 Perfect venue for a romantic symbolic or religious weddings and luxury wedding receptions on the Amalfi coast.